Whether you are looking to save the environment or to save a few bucks on gas - and who isn't? - you might be considering a hybrid car for your next vehicle purchase. Venice Honda in Venice has the perfect thing for you: the 2016 Honda CR-Z! This sporty vehicle offers sleek styling modeled after the beloved CR-X hatchback and an advanced hybrid drivetrain that will offer many years and miles of efficient performance. The 2016 Honda CR-Z is a sporty fun to drive 2-seater that features a hybrid power plant; it makes the perfect commuter car for fuel-savvy drivers who want something a little different from their vehicle. If you are shopping for a new car and want to check out the 2016 Honda CR-Z, come check out the inventory here at Venice Honda in Venice. We proudly serve all of Sarasota, Bradenton, Venice, North Port, and Port Charlotte, and the surrounding areas from our conveniently located Honda dealership in Venice, FL. The Toyota Prius name is practically synonymous with hybrids in this country, but as well-known as the 2016 Prius is, it is still rather bland, and it's not inexpensive either. The 2016 Honda CR-Z is a much better choice for your next hybrid vehicle, especially if you don't need room for five. Some reviews have called the Toyota Prius the "poster child" for hybrid cars and have lauded its aerodynamic design and easy-going shape. While its shape might have been made to excel in the wind tunnel, it is quite a boring shape indeed, and offers no drama, no pizazz, and little in the way of imaginative thinking. Sitting directly opposite this ho-hum hybrid is the flashy and interesting Honda CR-Z. This little car really lives up to its "sport hybrid" name thanks to its CR-X DNA; Honda kept everything drivers loved about the quirky little CR-X wagon and upgraded it for the modern age. In fact, the 2016 CR-Z looks like something straight out of a super hero movie or a sci-fi adventure. The Honda CR-Z brings the future to life both in design and mechanics, but it also keeps something of its ancestry intact: the 2016 Honda CR-Z is the only hybrid vehicle in its class to offer a sporty manual transmission. Hybrid vehicles get good gas mileage, sure, everyone knows that. 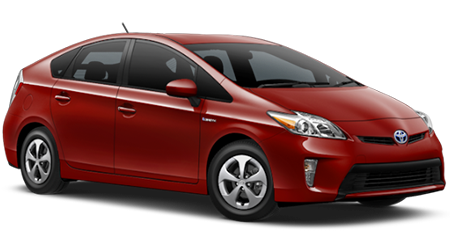 But another thing everyone knows is that most hybrid vehicles, like the Toyota Prius, are boring is not downright dreary to drive. In the nearly two decades that the Toyota Prius has been sold, that is the number one complaint against it. The Prius can't even get from 0-60 in less than 10 seconds. The 2016 Honda CR-Z is here to save you from the boring hybrid doldrums. This peppy little vehicle features a drive-by-wire throttle system as well as Honda's Sport Plus (S+) system, which gives the car a 5-second boost of power and torque from the electric motor when the driver engages the system. With the automatic CVT gearbox, the Honda CR-Z will get to 60 miles-per-hour in 6.5 seconds. Drivers who prefer to shift gears for themselves will enjoy the standard 6-speed manual transmission; with this sporty transmission, you can shave another 1/2 second off the acceleration time, reaching 60 miles-per-hour in just six seconds. How's that for fun? The 2016 Honda CR-Z might seem a little quirky, but the fact is that all the best things are. 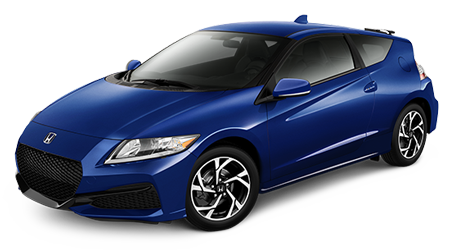 Come down to Venice Honda in Venice, FL to check out the new Honda CR-Z sport hybrid and forget about the Toyota Prius. Honda's got this one in the bag! * MSRP excluding tax, license, registration, $835.00 destination charge and options. Dealer prices may vary.